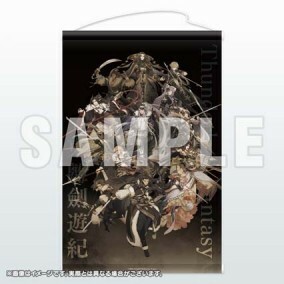 B2-size tapestry featuring battle-scene visual! From the hit heroic-fantasy puppet drama that was just green-lit for a second season, we present this B2-size tapestry featuring a Thunderbolt Fantasy: Sword Seekers battle-scene visual! An incredibly detailed illustration you'll enjoy in this extra-large size. ・A pre-release sale of this product will be conducted (Fri) Nov. 4, 2016 at the Nitroplus Store, located on the 1st floor of Animate Akihabara. Please note that the Nitroplus Online Store does not allow order cancellation. First released at the Nitroplus Store.